Welcome everyone to our latest newsletter bringing you all the goings on from Cheshire's friendliest Golf Club! Remember you can keep up with our daily updates by liking our Facebook page here and following us on Twitter here. - Bob has a Benny nice win! 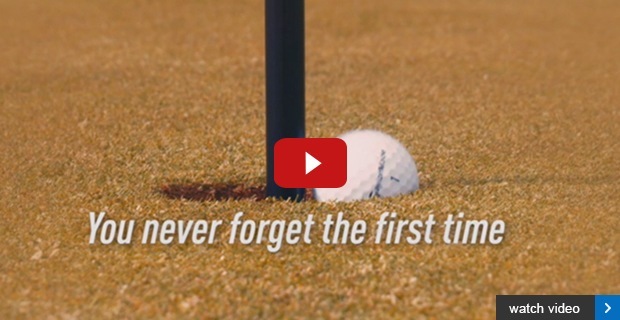 - Membership from just £100! - Elspeth's good run continues…. We played our first board competition of the year on Saturday and there was a good turnout of competitors, breezy conditions and the bogey format made scoring difficult and the winning score came from Seniors Captain Bob Bowen who grounded out a score of 4 up. Bob's score was established on the front nine as he was 4 up at the turn and then on the back nine he held on to his score as the wind picked up, another senior golfer was in second place as Alan Tayler scored 3 up. Alan had the opposite to Bob's round as he played the front nine in level but had a storming back nine including two birdies on holes 11 and 15. Paul Lang (dare we say it - another senior golfer!) took third place also on 3 up using his trusty wooden headed driver! Alan Tayler also capped a good day by scoring the only two which will be very lucrative for his shop account! This weekend we have two competitions - the Sunningdale Pairs Foursomes on the Saturday and then a Stableford on Monday as we enjoy another Bank Holiday, both start at 12:04pm. The draws are up on the notice board for the Summer Singles and Pairs Knockouts - if you've entered make sure you have a look at who you're playing and check when the match needs to be played by as there won't be any extensions. You may have noticed in the last few weeks a new face around the shop, we're very proud to welcome PGA professional Jonny Pearce to our coaching and shop team. Jonny is well known in the area and he was an Assistant at Delamere Forest before becoming Head Professional at Chapel en le Frith Golf Club and he brings with him a wealth of retail and coaching experience - it now means that we now have 4 PGA Professionals working as part of our team with collectively over 70 years' experience in the golf industry. Jonny is especially enthusiastic about junior golf and he will be helping out with our Academies and organising lots of junior lessons and competitions as well as going into schools to help promote the game. You will also see Jonny in the shop and he is looking forward to meeting all of you in the next few weeks, he is also keen to play nine holes with as many members as possible so make sure you ask him for a game! Here is the group of girls who had a great time in the Girls Golf Rocks session held at the weekend. The ladies held an 18 hole Stableford last Thursday and the winner was in form Elspeth Forbes who won for the second time in three competitions, Elspeth scored 39 points and her handicap has dropped to 22. In second place was Lady Captain Sandra Peake and in third place was Chris Lever on 34 points. This Thursday the ladies play a nine hole Stableford although it will be a bit quieter than usual as 10 of them are away on a golf trip to Portugal - we're sure they'll have a great time in the sun! Membership news Now that the weather is improving and we've got much lighter evenings we're sure that you will all start wanting to play more golf - if you are going to play lots of golf this summer then it makes perfect sense to become a member at Hartford. We pride ourselves on being Cheshire's friendliest Club and we don't charge a membership joining fee nor do we have lots of rules and out of date dress codes that might put you off! For us golf is a game that should be affordable and accessible to everyone for that reason we have a number of great and inexpensive membership deals, for example did you know that we offer a trial membership for just £100? For this small amount you get 2 months of unlimited golf and it's an ideal opportunity to test the waters to see if you would like to become a full 12 month member. 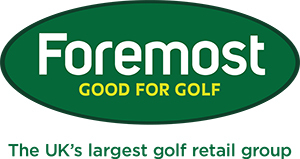 Not only is there a trial membership we also offer a flexible membership for £200 in which you get 200 points to use against games of golf both here at Hartford and at our sister course Pryors Hayes, 9 holes starts from just 8 points so you could get up to 25 rounds for your £200, when the points are all used you can top up by £50 a time. Full 7 day membership is available at just £58 a month and if there is a group of you that are thinking of joining we can offer you a 4 for 3 deal, so if 4 of you join on a full membership you pay for 3 and can save up to £785!! There can't be another Golf Club that offers so many membership offers - we really do have an offer to suit every lifestyle and budget, to enquire about any of these deals please contact us here. It's that time of year again when we launch our Complete Equipment Solution, starting on Monday we will not only be offering FREE fitting on top brand golf clubs but also if you make a purchase we will give you a FREE 30 minute follow up lesson with one our team of PGA professionals. The Complete Equipment Solution includes the 2017 ranges from leading brands including Callaway, TaylorMade, PING and Titleist and is available on irons (min. 7 sticks), hybrids and woods and it's an offer that you will not find in high street stores or on internet sites with £60 worth of extras included for FREE. 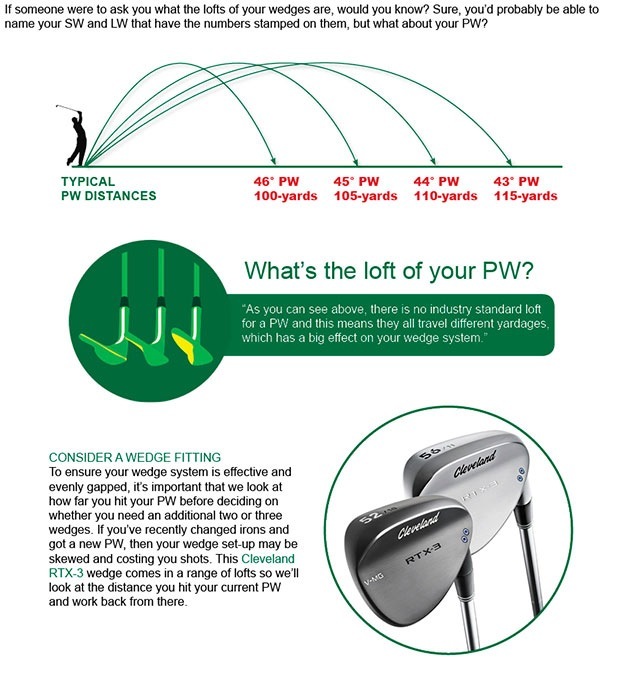 So with our CES not only will you make sure that you purchase the right equipment for your game but we will also then give you a follow up lesson so that you can make sure your technique is also correct meaning that you can hit the golf season running! To book your Complete Equipment Solution fitting please contact us here. 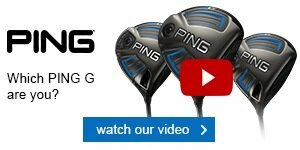 Our distance challenge has been going strong over the last two months and it ends on Sunday, through custom fitting sessions we have helped golfers increase their distance by a combined total of over 250 yards and the leading individual is Neil Battersby who increased his average drives by 22 yards when he was fitted for the new Callaway Epic driver. 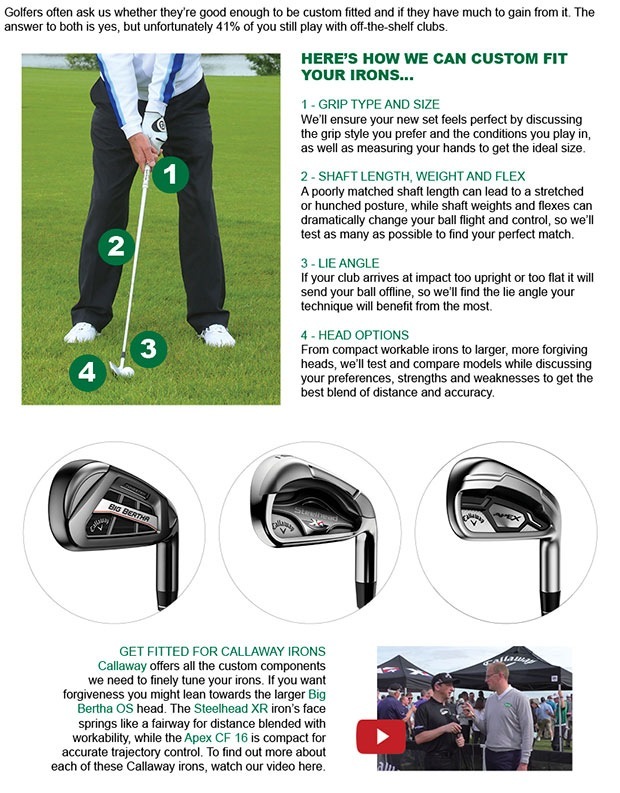 There is still time to take part in the challenge but you need to be quick, the prize for the winner is a great one - the golfer that picks up the most distance after a fitting and purchases a new 2017 driver will win a FREE matching fairway wood - so far Neil holds on to the lead and will win a free Callaway Epic fairway wood worth £249!! Don't delay, get booked in on the Distance Challenge now! - contact us here.